Inspirational and motivational quotes are everywhere! You can't scroll to far down your Facebook feed without seeing one, We share them and we love them! These inspiring quotes, often by people we look up to and admire are very often affirmations! Statements of what is or what will be (or what we'd like to be!). There are thousands of books and videos on the power of affirmations, they really do get a lot of air time, but unfortunately it's not all good. I believe and can definitely confirm from experience that affirmations are amazing and powerful, but sadly, sometimes they get a bad rap. Because people say or think "I say all these good things, I believe them – but nothing happens! I affirm I want to be happy, I want to find love, I want more passion in my relationship, I want more money, a better job, peace of mind & all these good things; but nothing happens. So I'd like to share something important with you. Now Affirmations in all honestly are just nice words – they can pick you up and make you feel good but to really experience their power we need to be take it to the next level! I like to call these AFFIRMACTIONS! This is where many people get despondent, down, give up or even start to feel negative about them and think there a joke and waste of time. 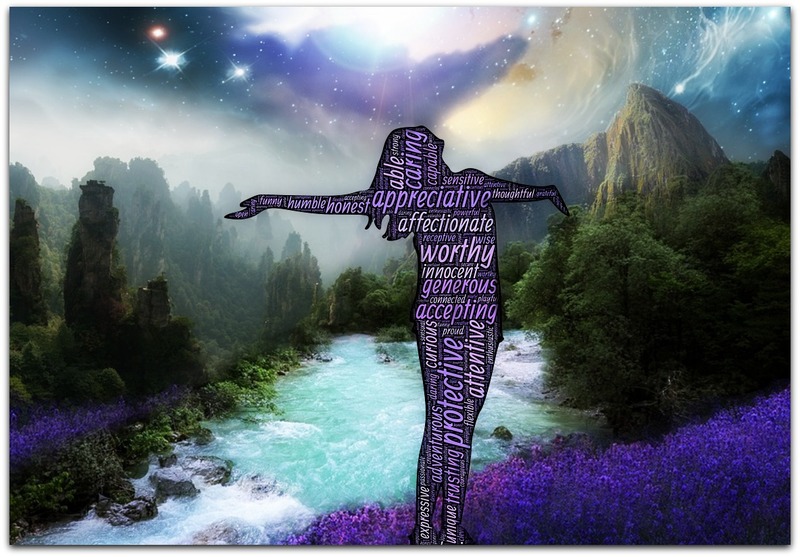 So I’d like to share my take on affirmations, which now you know is affirmactions, and how powerful they can be. 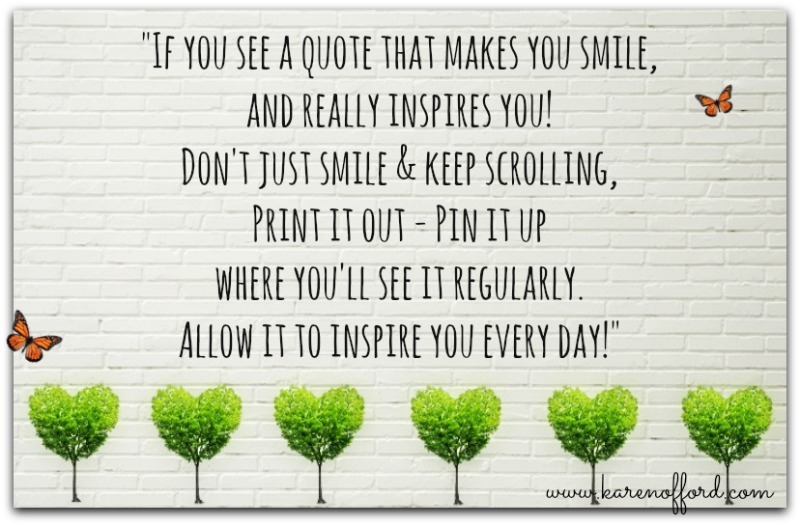 To begin, I share a lot (my quote about quotes) “If you see a quote that really inspires and resonates with you, don’t just smile and scroll past – print it out – pin it up - where you see it every day. Where it can really start to fill your mind, change your focus and transform your thoughts, because you will feel what you focus on. So you want to see it every day. We all know life gets really busy it's easy to forget and get focused on all of life's obligations. Taking care of our kids, partners, work, business, bills, extended family, commitments, cleaning, self-care the list goes on. It's a very busy life we lead! So we want to make these beautiful shifts in thought (these affirmations) as easy as possible to remember. So I encourage you; if you see one you love, that really moves you, pin it up so you'll see it every day. Just to give you a little background information, this all began for me many years ago. My first affirmation was "Joy is a choice, each morning you wake up you choose, choose Joy." It was a time when I hated my life, everything was crap, everything was going wrong. I was getting divorced for the second time, I was struggling financially, emotionally and honestly felt I’d ruined my kids’ lives and that I was a complete failure. But an amazing teacher said to me "Karen; Joy is a choice – each morning you wake up you choose – Choose Joy." Unbeknown to me at the time; my very first affirmation!. I printed it out and stuck it up on my wardrobe door, so I’d see it every morning, noon and night. To start with I didn’t believe it. I thought what do I have to be joyful about! But I didn't enjoy feeling like crap, I trusted in my teacher and I understood the benefit so I kept seeing it, saying it and taking it in every day. Because that’s what I wanted to feel and again I didn’t know how and I certainly didn’t feel it back then, but these two very simple affirmations (now affirmactions) lead me to where I am today. I can now honestly say that I truly embrace and love life, I see so much love, joy and beauty. Things that where always there but I hadn't noticed before. Now I wouldn’t say it’s always easy, but to be human is to be challenged and in each challenge, failure, trial, triumph and moment that we can truly embrace the now – with what we can do, with what we’ve got, from where we’re at right now – we start to feel and create that joy and inner peace and the ability to move forward and handle the not so nice things when they come up. Because life can throw some whoppers at us, and some are very traumatic & painful. Affirmations aren't all about just being fluffy and positive and just going around saying all these nice things and telling ourselves everything will be or is perfect. Life is truly abundant with beauty, joy and love - I mean truly abundant when we really start to look; but the truth is sometimes life is also tough. We’ve all experienced things that would shock many of us if we were to share our stories and experiences and be brutally honest sharing what we’ve experienced, how we felt in those darkest nights of the soul and all our fears that we hold onto. But this is where our focus comes into play, our ability to get back up, to embrace our experiences, learn from them and move forward and to start to notice all that is beautiful and all that we are truly capable of. So don't wait, it's incredible how we can start to change our lives in an instant with the simplest of methods. And one last little point on all your beautiful quotes and inspirational messages and images; they are really reaching out and touching the hearts of others. Your little quote might seem like just a nice quote, a nice thought and you go about your day, but what you may not know is that you’ve changed someone’s day, shifted their focus, given them hope and lifted their spirits, and I think that’s magnificent, so please keep sharing them. And pin them up somewhere you will see them regularly; so they inspire you, motivate you - every single day!